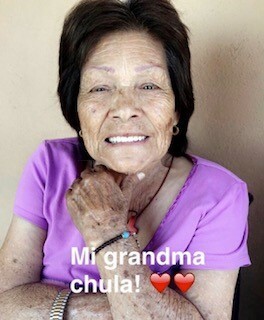 Otilia Ramirez de Melgoza died peacefully at her Watsonville home surrounded by her loving family on Friday, Jan. 4, 2019. She was 77. She was born to Gabriel Ramirez and Matilde Diaz in Michoacán, Mexico on Aug. 17, 1941. Together with her husband they raised their large family in this community. Mrs. Melgoza was a hard worker, before retiring she was a field worker in the strawberry industry. She was a loving and caring wife, mother, and grandmother. She was a happy and a good spirited person with a good sense of humor, she would like to tease and joke around. Mrs. Melgoza liked to watch her novelas and enjoyed cooking for her family and friends. She is survived by her husband of 58 years, Raul Melgoza; seven sons, Jorge, Abel, Jose Luis, Nectaly, Mario, Porfirio, and David Melgoza; four daughters, Maria Elena, Maria Isabel, Veronica, and Eliana Melgoza; 29 grandchildren and 17 great-grandchildren. Visitation will be held at Mehl’s Colonial Chapel on Thursday, Jan. 10, from 5-9 p.m. with the rosary prayed at 7 p.m. Mass will be celebrated at Valley Catholic Church on Friday, Jan. 11 at 1 p.m. with burial to follow at Valley Public Cemetery.